Planners continue sketching designs for a transformed Delaware, Lackawanna and Western Railroad Terminal at the foot of Main Street – but it may take significant time before their ideas end up as bricks and mortar. The Niagara Frontier Transportation Authority, which uses the 102-year-old landmark as headquarters for its Metro Rail system, must now try again for a $19.1 million federal grant after Washington rejected its original application last month. Despite the setback, the authority remains optimistic about its plan to build a Metro Rail station in the complex and open its vacant second floor to development. In fact, NFTA Executive Director Kimberley A. Minkel said the authority has even ordered new rail and other construction materials needed for the project. 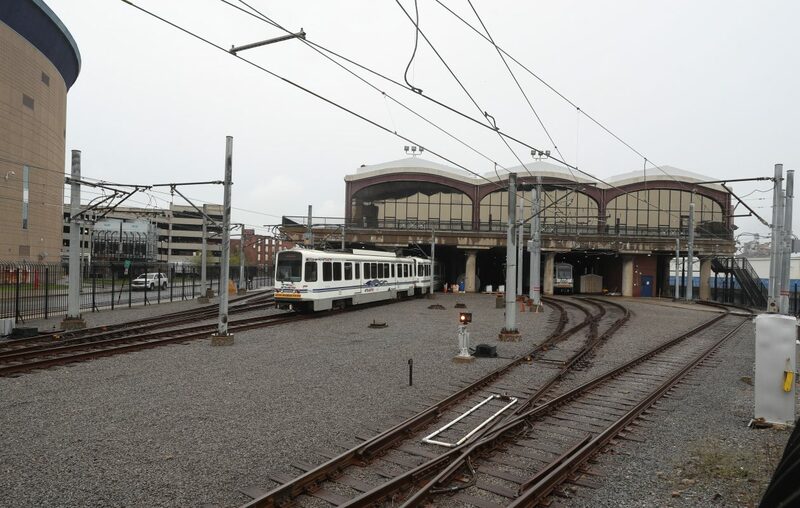 Even as the NFTA plans for a separate $1 billion expansion of Metro Rail to the University at Buffalo’s North Campus and beyond, its approximately $43 million extension into the DL&W has long loomed as much more doable. Gov. Andrew M. Cuomo included $26 million for the project in his Buffalo Billion II program, while the area’s congressional representatives shepherded the $19.1 million application for federal money. But Minkel said Washington approved only 91 projects out of the 851 applications submitted for $1.5 billion in the federal BUILD grants, mostly for rural areas. As a result, Minkel said the NFTA now plans a “phased” approach to the project, using the existing state money to continue design work that is now 70 percent complete. Some track work and interior projects within the structure will also begin this summer, she added. Officials are also exploring other funding sources, she said, even while remaining optimistic about eventual participation by the federal government. 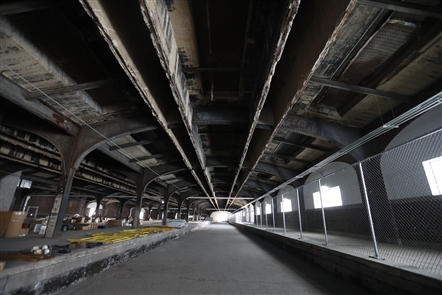 In recent years, the project has loomed as an NFTA priority given the increased waterfront development in the area and the potential for the 80,000-square-foot passenger shed that once served DL&W passenger trains. That area, essentially vacant since the last DL&W train departed in 1963, has been envisioned as some day hosting new commercial development. The authority plans a platform on the building’s Buffalo River side for a new station, as well as escalators ferrying passengers to and from the second floor, which would host commercial development. At one time, planners hoped to begin construction as early as 2018 – a schedule now significantly delayed. Still, the authority has issued a “request for proposals” after leading two recent tours for prospective developers. The new development surrounding the DL&W has stimulated interest, Minkel said, adding that the NFTA will evaluate developer’s proposals that are due March 12. “There is always a lot of interest in that facility,” she said. Other questions still surround one of the project’s most attractive components – sky bridges connecting the DL&W to KeyBank Center across South Park Avenue. NFTA engineers have identified a complicated maze of underground utilities that could preclude construction of a northern stair tower, needed under current plans to support the pedestrian bridge. Engineers have also determined that a significant portion of the budgeted funds – some in hand and some not – will be needed to repair erosion of the terminal’s seawall along the Buffalo River, already causing sinkholes in the area. Minkel said all of those challenges remain under review. His office was unavailable to comment, but Minkel said the congressman is expected to continue his efforts to secure funding.